HoverWatch : Silent Mobile spy and tracker. We live in a world surrounded by gadgets and gizmos. In this age of technology, every living person around has a smartphone. In our hectic day-to-day life it is hard to keep a track on our smartphones. People are concerned about their phones getting lost, some parents are concerned about what their kids are doing these days. If you are one of these people, then keep reading, you’re about to get introduced to an app which will let you track your smartphone, keep an eye on your kids and also a lot lot more. Before I get down to the real motto of this post, first let me ask you a few questions. Did you ever wanted to know who accessed your smartphone in your absence? Ever wanted to know what websites your kids and colleagues are visiting on their smartphones? Ever wondered how would you track your smartphone if it accidentally got lost someday? If your answer is YES to any of the above questions, then I have something special for you. Today, I’ll be reviewing an application which will help you track, collect data, get call logs, messenger and WhatsApp chats, contact list from your or your kids or colleagues smartphone and many much more. This app will come in handy for you if you simply want to keep a track of your phone, or to silently spy on your kids. It is an ideal application to keep a check on your children. Due to the amazing features offered by the app, you can also know who accessed your smartphone in your absence. The app is a great life saver not only for parents, but also for people in a relationship. If you’re having doubts about whether your partner is cheating on you, this app might come in handy for you! Mind blowing, isn’t it? All these features and that too in ONE SINGLE APP. I know it’s unbelievable, but Hoverwatch actually offers all these features. Hoverwatch is basically a phone tracker application, which offers a lot of amazing features from tracking your phone to recording your SMS and call history, tracking WhatsApp and Facebook chats, clicking pictures of the person who unlocks your device and much much more. Well, Hoverwatch offers a lot of amazing features at an affordable price. You’ll be amazed by seeing the pricing of this unparalleled app. Anyways, getting straight to the point below are some of the features of this incredible app. 1. Ever hear about silent install and tracing? Most popular tracking applications lack this feature. This features allows you to get data from the target’s device and they will never know that it is being sent to an online account and being scrutinized by someone. Amazing, right? Yes, it is and wait there’s more. 2. Tracks almost all messages being sent over WhatsApp and Facebook messenger. The app is also able to retrieve messages from secret chats. 3. The app gets you a copy of all phone calls recorded and the messages received on the target’s device. 4. Changing SIM cards is common now-a-days, but Hoverwatch can actually help you tracking SIM card behaviour i.e., you can keep a track of every time the user removes his SIM card. 5. Keeps track about who unlocked your phone or your target’s device by clicking pictures from the front camera every time the device gets unlocked. 6. GPS tracking feature helps you track the target phone’s location all the time. You can set Hoverwatch to automatically get location updates from time to time. This feature is actually a real life saver if you somehow accidentally lost your device. You’ll have it tracked in no time. Hoverwatch is exclusively used all over the world. The reason this application is so popular is because it is compatible with all the major operating systems and works flawlessly on Android, PC and Mac. To start using this amazing phone tracker app, you first need to sign up on Hoverwatch.com with your email and password. Once you have created an account, you’re almost halfway done. You only need to download the tracker from the panel and start spying on the devices you want. Please make note that you need physical access to the device you want to spy on. You have to manually download and install Hoverwatch in the device of your choice. If you liked the features of the app & want to try it. You can join Hoverwatch’s 3-day trial absolutely free! You’ll be given access to all features of Hoverwatch. Well as I have mentioned before, Hoverwatch is available at affordable prices. It is quite affordable and doesn’t burn a hole in your pocket. If you’re planning to monitor and track your own device, you can go with the Personal Plan. 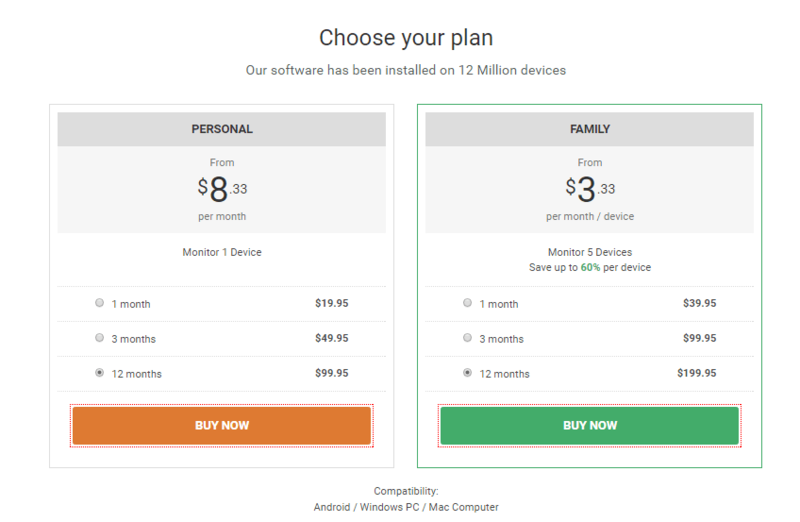 It only costs $19.95 per month but if you buy the 12 month plan it will only cost you $8.33 per month. That’s a huge discount! If you don’t want to buy the yearly plans, you can also check out Hoverwatch’s quarterly plans. 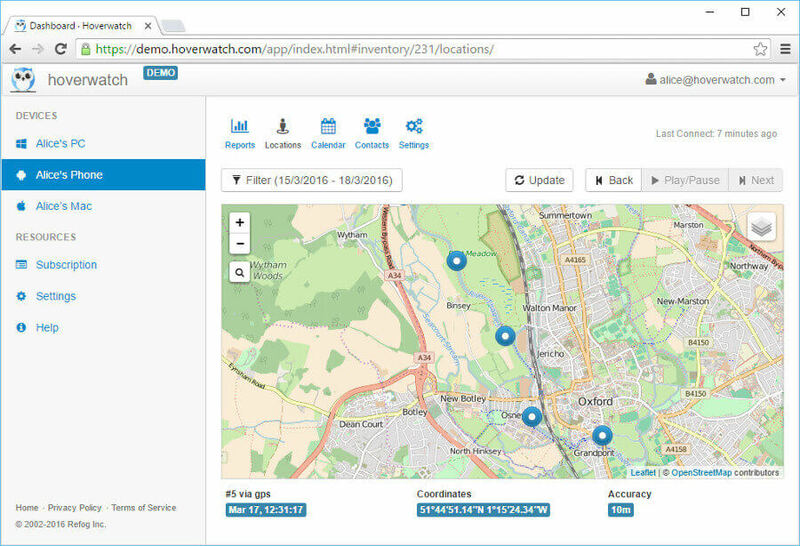 Hoverwatch is a one-stop tracking application. The best tracking application out there right now. You don’t need to worry about losing your phone anymore. You don’t need to worry about what your kids are upto these days, cause you’re already keeping track of them. After using Hoverwatch, all I can say about this incredible application is that it is Cheap and Reliable. Everyone can afford this app and it will never let you down. It works flawlessly. No wonder this app is used by millions of people worldwide. I would happily rate this app 4.5 out of 5. Now, the only thing left for you is check out the app yourselves. Don’t wait anymore and get started with Hoverwatch, your one stop destination for tracking and spying. Download Nintendo DraStic DS Emulator full version free.